Get an overview of vegan statistics from around the world. See why so many people are going vegan and eating plant-based — from athletes to celebrities to everyday people. 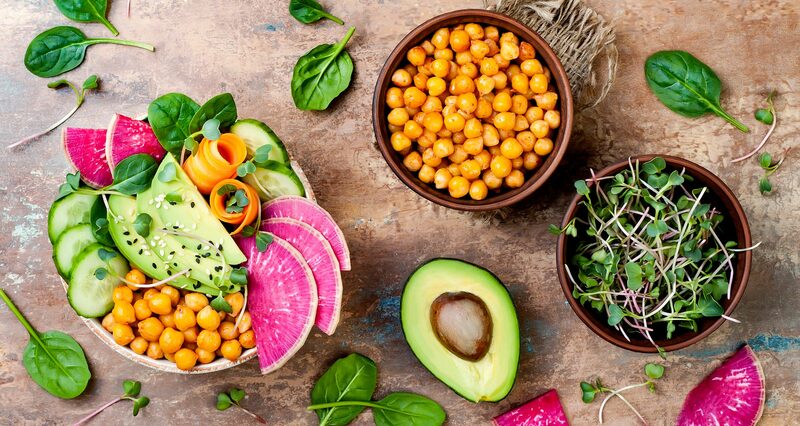 The rise of plant-based diets is here to stay. Millennials are central drivers of this worldwide shift away from consuming animal products. But the plant-based movement is bigger than any one generation. Everyone from celebrities to athletes to entire companies including Google and countries as big as China are supporting the movement to eat more plant-based foods. Search data from Google Trends shows an impressive worldwide increase in the interest in veganism from 2004 to 2018. Top regions include Israel, Australia, Canada, Austria, and New Zealand. In Portugal, vegetarianism rose by 400% in the last decade. This is according to research carried out by Nielsen. Plant-based diets are growing across Asia. New dietary guidelines released by the Chinese government encourage the nation’s 1.3 billion people to reduce their meat consumption by 50%. Research predicts that China’s vegan market will grow more than 17% between 2015 and 2020. And in Hong Kong, 22% of the population reports practicing some form of a plant-based diet. In Australia, between 2014 and 2016, the number of food products launched carrying a vegan claim rose by 92%. And Australia is the third-fastest growing vegan market in the world. 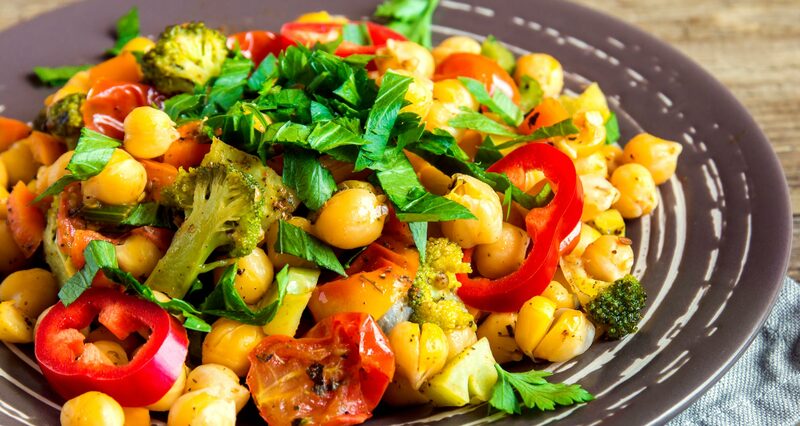 Mainstream health organizations are recommending a plant-based diet. Including, among others: Kaiser Permanente, the largest healthcare organization in the U.S.; the Dietary Guidelines Advisory Committee; and the American Institute for Cancer Research. Even Walmart, the world’s largest retailer, is asking its suppliers to offer more plant-based products. Across many sports, professional athletes are proving that a plant-based diet can fuel excellence. Athletes in everything from weightlifting and bodybuilding to ultramarathon running and tennis are being vocal about their love of plant-based eating. From The Ground Up Trailer from From The Ground Up on Vimeo. Furthermore, Tom is so passionate about plant-based eating he launched Purple Carrot, a home delivery service offering nutritious, plant-based meal kits. At least 11 players for the Tennessee Titans football team (fresh off their first playoff victory in 15 years) are following a primarily plant-based diet. “Everybody is making plays. Everybody is healthy. Everybody is eating right,” outside linebacker Brian Orakpo told ESPN. More and more, NBA players are going plant-based to boost their stamina and endurance. Other NBA athletes who switched to a plant-based diet in the past year include Damian Lillard, Wilson Chandler, Al Jefferson, Garrett Temple, Enes Kanter, JaVale McGee, and Jahlil Okafor. Giving up meat and animal products is also a trend for a growing number of celebrities. Edie Falco, known for her role on The Sopranos, who had been a long-time vegetarian and recently committed to being a vegan. Google employees get to eat free food at employee cafeterias. And lately, the meals are using more plant-based foods and less meat. As part of a broader sustainability initiative, Google recognizes that meat consumption is an important part of its carbon footprint and that animal agriculture is a big part of our environmental crisis. Chefs are experimenting with plant-forward dishes. And Google has been working with Better Buying Lab — which develops strategies to help consumers buy and consume more sustainable foods — and hopes to change the landscape of restaurants beyond Google cafeterias. The global plant-based milk market is expected to reach $16 billion in 2018, up dramatically from $7 billion in 2010. Internet grocery delivery giant Instacart said searches for “non-dairy” went up by 222%. Elmhurst Dairy in Queens, New York, one of the largest dairy manufacturers on the East Coast, ceased its dairy operation after 90 years, citing decreased customer demand. Moreover, in the U.S., non-dairy milk sales increased by 61%, from 2012 to 2017, according to research by Mintel. So while the demand for non-dairy milk is increasing, the demand for dairy milk is declining. According to data from USDA’s economic research service, U.S. consumption of dairy milk beverages decreased by 22%, from 2000 to 2016. Plus, the dairy industry is getting scared. A campaign called Februdairy was intended to revitalize dairy sales and dairy’s declining image. But it was failing before it even began. More people are becoming aware of the problems with dairy and the problems with the dairy industry. Even the meat industry is taking notice. In fact, Chuck Jolley, president of the Meat Industry Hall of Fame, said plant-based meat substitutes are one of the six great challenges for agriculture in 2018. Beyond Meat, a company that develops plant-based “meat” products, created the Beyond Burger to resemble real meat. When cooked, the plant-based burgers use beet juice to “bleed” as does real meat. People say the burger alternative smells and tastes like real meat. In many grocery stores, you can find Beyond Burgers in the meat section alongside traditional meat products. The company, based in Los Angeles, has won over numerous investors — including Leonardo DiCaprio, Bill Gates, and The Humane Society. Even Tyson Foods, America’s biggest meat processor, bought a 5% stake in the meat alternative company. In further proof this burger is going mainstream, you can find Beyond Burgers on the menu at all 469 locations of the U.S. chain TGI Fridays. Beyond the U.S., Germany is often known for bratwurst and schnitzel. But in 2016, German companies launched more vegan food products than in any other country. Another area seeing a rise in plant-based options is fast food. Many meat-free fast-food restaurant chains, including Veggie Grill, Plant Power Fast Food, Evolution Fast Food, and Amy’s Drive Thru, opened more locations in 2017, and are expected to grow more. In addition, fast-casual restaurant By Chloe serves 110,000 plant-based meals each month in the U.S. and is expanding internationally beginning in London, with plans to move into the Middle East and Europe. Most noteworthy, even Mcdonald’s released a McVegan burger in Sweden and Finland. And Pizza Hut launched vegan cheese in the UK. Even some school lunches — known for their poor nutritional quality— are becoming healthier, with more plant-based options. Importantly, after a successful pilot program, plant-based options could be offered at every school in America’s 2nd largest school district. Teenage activist Lila Copeland is the reason this program exists. Through her Healthy Freedom Campaign, she seeks to see delicious vegan meal options implemented in the U.S. on a federal level by 2020. Also, in France, in an November 2017 interview with publication L’Obs, French Environment Minister Nicolas Hulot stated that French schools should implement a 100% plant-based menu at least once a week. And in New York, 1,300 school district employees are taking a whole food, plant-based food challenge, inspired by a colleague who changed his diet and saw incredible results after a heart attack. Why Are More People Eating Plants? As signs across culture are showing, more people are interested in plant-based eating. This shift is being driven by a number of factors. For one, the Internet has made it easy to spread information. Perhaps as a result, more people are taking an interest in knowing where their food comes from and how it’s produced. Secondly, people are becoming more aware of the health benefits of eating more fruits and vegetables — and of the health impacts of eating meat and animal products. A global reduction in meat consumption between 2016 and 2050 could save up to eight million lives per year, $31 trillion in reduced costs from health care and climate change — and, even, the planet. It’s trendy to post delicious-looking images and videos of plant-based food online. For example, popular tools include Instagram, Facebook, and YouTube. Besides that, people are increasingly giving up animal products and announcing and documenting their changes on social media. In addition, popular films, such as “Fork Over Knives,” “What The Health!,” and “Earthlings” are promoting whole, plant-based foods. And they are changing the way people view animals, food, and their health. Overall, stereotypes about the word “vegan” and plant-based eating are shifting and becoming more positive. In addition, more meat eaters are eating plants, too. Going plant-based doesn’t have to be an all-or-nothing way of eating. Overall, more people are eating fewer animal products and more whole plant foods — which can be great steps for health and for the environment. For example, more than 39% of consumers in the United States and 43% in Canada say they are trying to incorporate more plant-based foods into their diet, according to a global survey by Nielsen. For instance, Meatless Monday is a global movement to cut out the meat at least one day a week. And flexitarian eating creates a category for plant-based eaters who include occasional meat or fish in a mostly vegan, or “vegan-ish,” diet pattern. 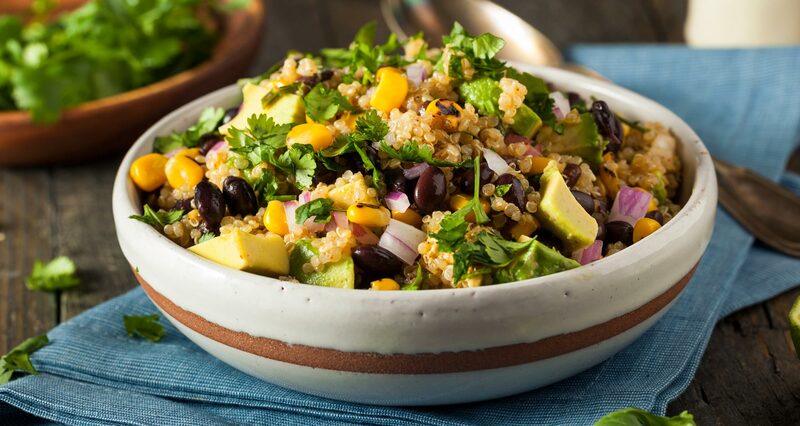 More and more — whether they identify as vegan or vegetarian or not — people are choosing to incorporate vegan and plant-based meals into their way of eating. First of all, you don’t need to identify as a vegan or vegetarian to care about your health, animals, or the planet. Above all, at Food Revolution Network, we stand for healthy, ethical, sustainable food. And we believe in a “big tent” approach that is welcoming and supportive of everyone moving in a healthier direction — regardless of their ideology or label. We want to see healthy, whole, plant-powered food that is delicious, available, and affordable to all — including more food that focuses on whole plants in a beautiful and enticing way. We want to see more interest in fresh, local, organic, and fair trade foods — as well as in farmers markets, home-grown foods, and community supported agriculture. And we want to help more people everywhere make conscious, healthy choices about what they eat — and why. Are you ready to eat more plants? Join our email list and get your Real Food Action Guide with motivating facts and useful information to help you take action for your health, animals, and the world. Get your guide and join our list here now. What do you think about the global rise in vegan and plant-based eating? Do you see a rise in veganism and plant-based eating? Or know of other vegan statistics to add to this collection? Are these trends here to stay?